Man Utd have seemingly missed out on Inter winger Ivan Perisic as the Croatian international has penned a new contract with the Italian giants. As reported by The Independent, the 28-year-old was rumoured to be one of Jose Mourinho’s top targets this past summer and personal terms between the two parties had been agreed. However, with Inter placing a £48m price-tag on him, as per the report, the Red Devils were unable to reach an agreement on a transfer fee, and ultimately a deal was never struck for a player who scored 11 goals and registered eight assists last season. In turn, it looks as though Perisic has now been convinced to stay by Inter boss Luciano Spalletti, thus ruling out any chance of seeing him in a Man Utd shirt in the near future. ???? Ufficiale! 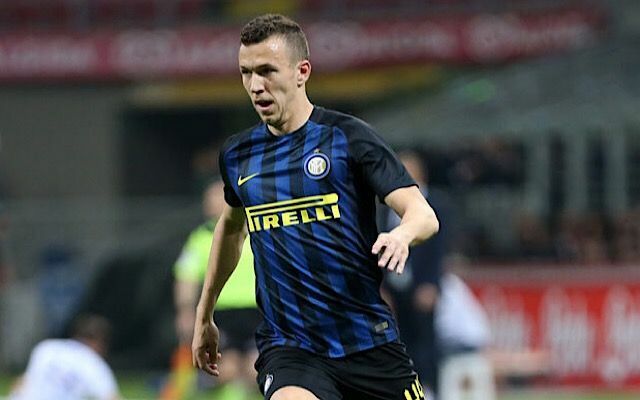 Ivan #Perisic con noi fino al 2022! ??? The former Wolfsburg ace has signed a five-year deal with the Serie A outfit, while he added that he was delighted to commit his future to the club and believes that Spalletti can help him become an even better player. As a result, that will leave Man Utd and Mourinho disappointed to have missed out on a potentially key signing, as the Portuguese tactician seemingly wanted to add more quality on the wings. However, with Marcus Rasford and Anthony Martial vying for a spot on the left side, there’s an argument to suggest that Perisic wasn’t desperately needed and provided those two continue to perform at a high level, perhaps Mourinho won’t be left to rue a missed signing.